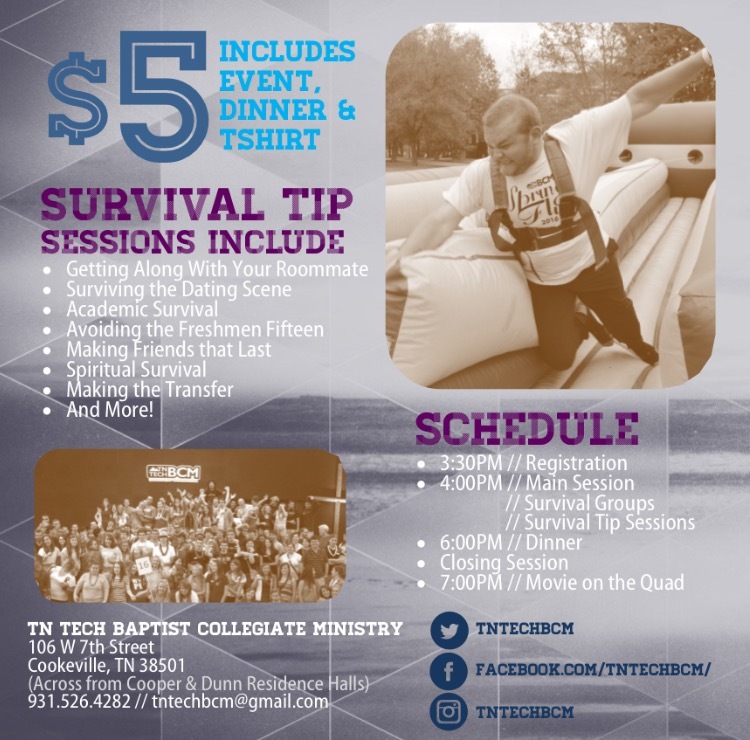 Freshmen Survival :: Saturday Aug 23, 4PM-7PM :: Register Now! 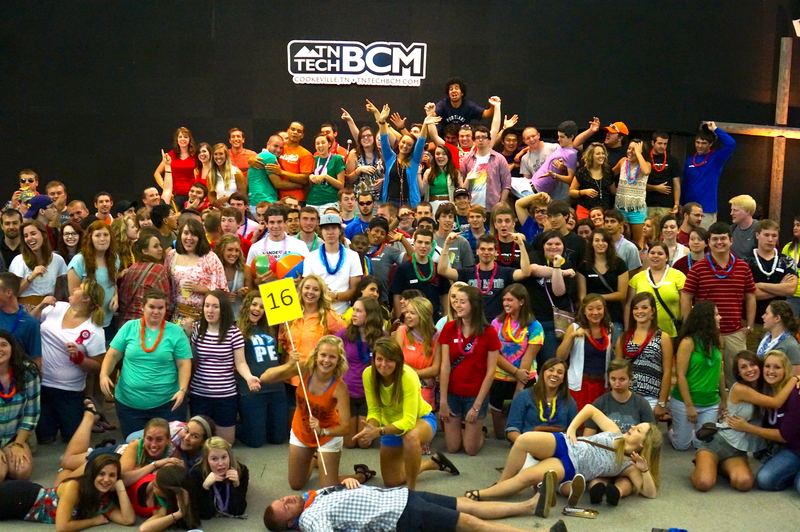 Freshmen Survival is the best way to get your college life off to a great start! You’ll make friends with freshmen and upperclassmen fast, find out about local church options, hear about all that the BCM has to offer you, and learn tips from upperclassmen on how to make it through your first year of college! It all happens Saturday Aug 23 from 4PM-7PM. Help us out by pre-registering below! You could also just show up and register at the door. Call or email us if you have any questions. Cant wait to meet you! Click the donate below to pay your $5 Registration Fee, which includes your dinner + t-shirt. Or pay at the door.